On days when we're looking to make quick, healthy meals (which, let's face it, is most days), we often choose rice as the foundation for our dinners. That could mean a vegetable and tofu stir-fry served over rice or my favourite lentils and rice recipe. 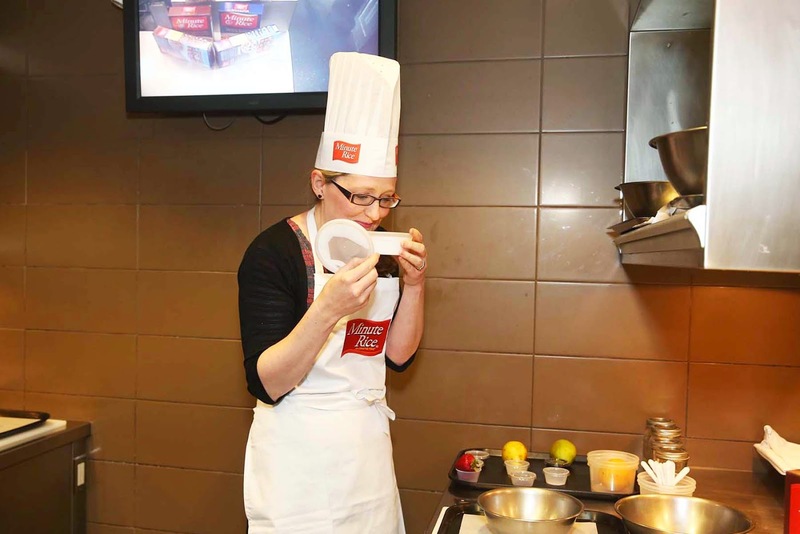 In order to shake up my rice routine and start thinking about how I can prepare rice-based meals in new and different ways, I recently attended an event hosted by Minute Rice® and featuring Chef John Higgins. 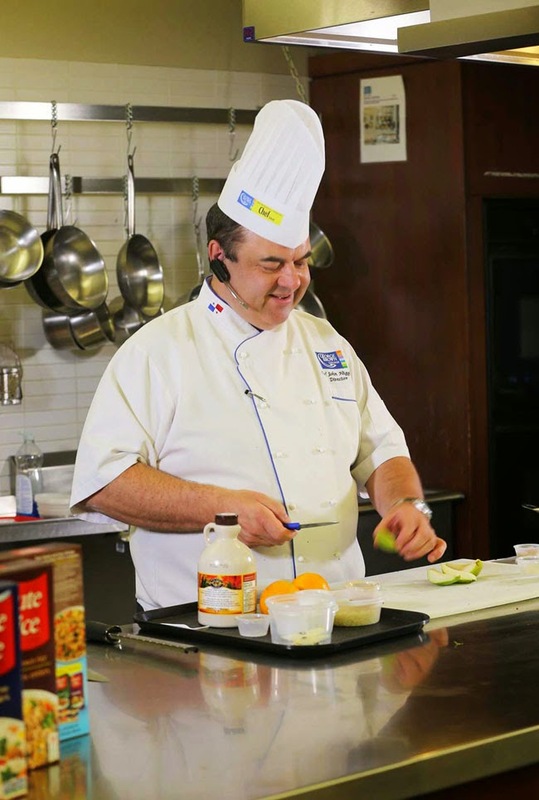 Higgins is the personable director of George Brown Chef School, a judge on the Food Network’s Chopped Canada and former personal chef for the Queen Mother. 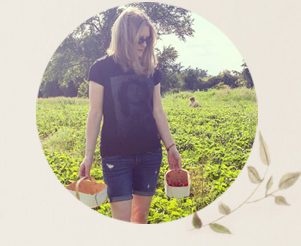 Higgins told us that, as the days get warmer and families get busier, there are countless ways that we can use instant rice to create fast, all-natural and healthy meals. Before we look at some of his tips and tricks to prepare uncomplicated rice dishes, let's clear up some misconceptions. Because it's so quick and convenient, people sometimes think that Minute Rice isn't as healthy as regular rice. In fact, instant rice is as nutritious as long-cook rice. It's simply long grain rice that is pre-cooked and then dried in order to significantly cut down on the cooking time required. With pre-cooked rice as its only ingredient, Minute Rice is 100 per cent natural and Non-GMO Project Verified. It comes in two varieties – Premium Long Grain White Rice and Premium Whole Grain Brown Rice. It takes just five minutes to prepare the white rice and 10 minutes for the brown rice. Working with Minute Rice® 100% Natural Instant Rice, Chef Higgins showed us how to create healthy meals with rice as the foundation. 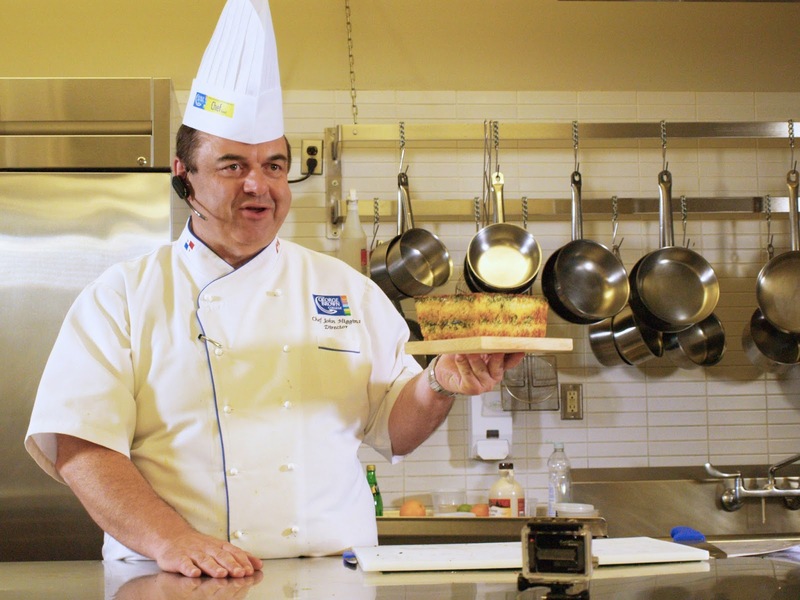 He even whipped up an all-natural lasagna loaf using rice instead of pasta. While he used ricotta and shredded cheese, I'm looking forward to making a vegan version with a tofu "ricotta" and vegan cheese shreds. 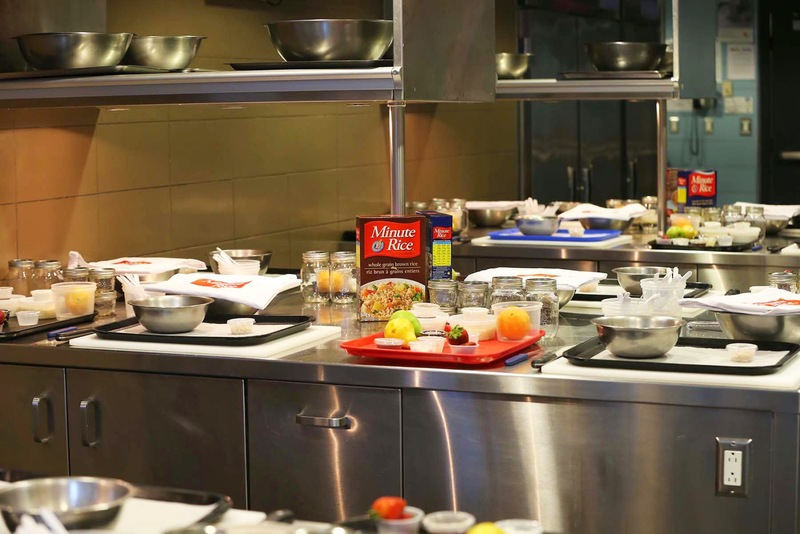 After Chef's demonstration, we headed into George Brown's cooking school kitchen to make our very own dessert with instant rice - Pear and Cranberry Rice Pudding. That's me smelling the coconut milk, above. I modified the recipe slightly to make a vegan version, which you will find below. But first, some very interesting tips for adding kick to your rice dishes. 1. When boiling rice, substitute water for vegetable broth to add flavour to the rice and your dish. 2. Cook rice in coconut milk for a mildly sweet rice that pairs well with curry dishes and other spicy recipes. Coconut flavoured rice with fresh slices of mango or your child's favourite fruit is a fun and healthy dessert option. 3. Add spices to your rice’s cooking liquid for an aromatic and flavourful base to your dish. Try star anise, cilantro or turmeric for bold flavour. 4. Don’t leave your seasoning until the rice is finished cooking. For more flavour, add herbs and spices into the rice’s cooking water. 5. Add pre-cut frozen vegetables. Shorten your cooking time by adding them to boiling water before you begin cooking the rice. 6. Add dried fruit such as cranberries, raisins, blueberries and currants to your cooking water to infuse your rice with sweet fruit flavours. 7. Have rice for breakfast. Quick and easy, instant rice is a convenient, nutritious option. Add almond or soy milk and dried fruits or nuts for a complete, oatmeal-like breakfast dish, served hot or cold. 8. Infuse rice with tea for a fragrant, gourmet taste. Steep a pot of your favourite flavour of tea and use the liquid to cook your rice instead of plain water. Try Earl Grey, English Breakfast or chamomile tea. 9. Grate lemon, lime or orange zest into the cooking water as it boils. For a more gourmet taste sensation, try a combination of citrus fruits in one rice dish. 10. Use instant rice in a risotto dish to cut in half the time it takes to make traditional risotto. 1. Dice pear into even pieces. 2. In a hot non-stick pan, cook the margarine or oil and diced pear for 5 minutes or until softened. Add 1 tbsp of sugar, followed by cranberries. Set aside and allow to cool. 3. In a large saucepan, over medium-high heat, combine the coconut milk and rice, then add the 3 tbsp sugar and salt; bring to a boil. Add the orange zest, stirring constantly. Reduce the heat to medium-low. Cook, stirring often for 10 minutes. Add water when needed to continue softening rice. 4. Stir in vanilla. Remove from heat. 5. 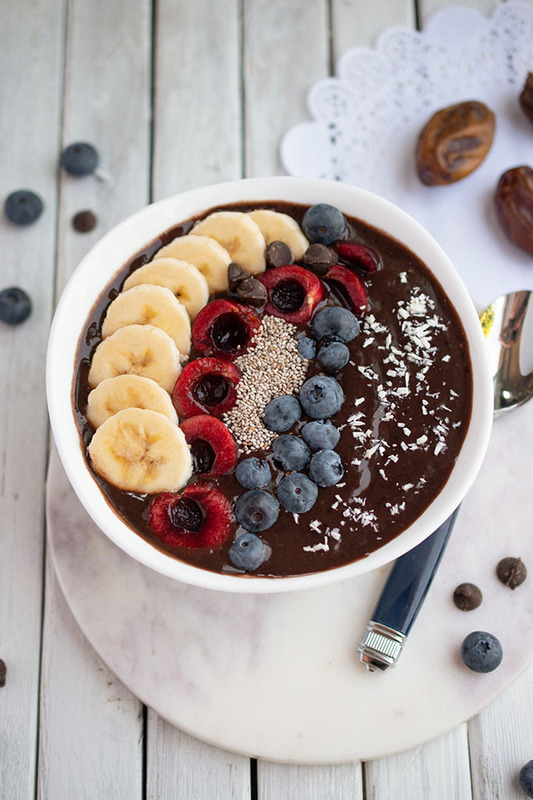 Place equal amounts of the pear mixture in the bottom of each serving dish, top with rice pudding, and then with toppings of your choice - chocolate-coated cereal, diced orange, sliced strawberries or whatever strikes your fancy. Save on your next purchase of Minute Rice 100% Natural Instant Rice. Get a $1 off coupon. Find more information and recipes at www.minuterice.ca. Enter to Win A Year's Supply of Minute Rice! 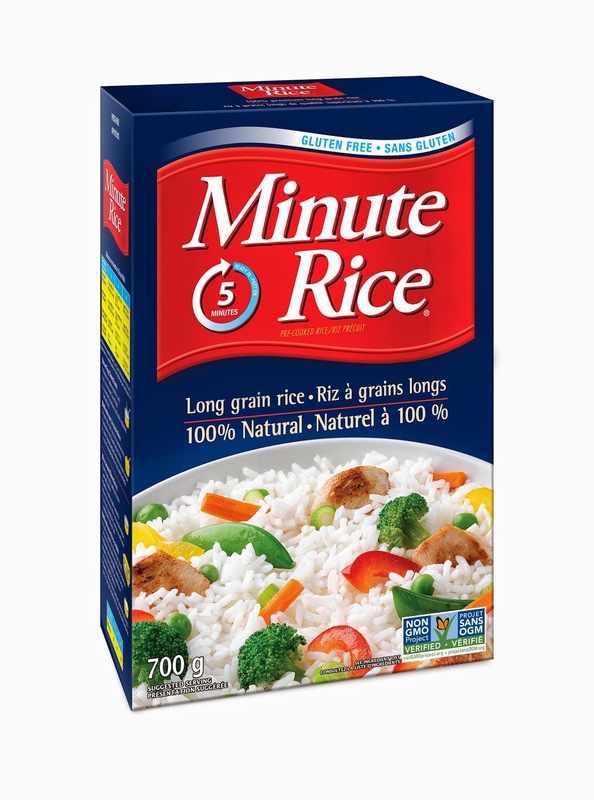 One lucky Woman in Real Life reader will win a case of 12 boxes of Minute Rice 100% Natural Instant Rice ($60 value). Canadian residents may enter using the rafflecopter below until June 4th. I like making chili chicken with rice. I like to make chicken fried rice. I like to make a seafood paella. I like beans and rice. I like making shrimp fried rice. I like rice as a side dish, but my husband is fond of rice pudding. I love a good fried rice! I love to have rice as a side dish! I like to make a stir fry with rice. Spanish rice to go with burritos! I love stirfry with rice! I love chicken stir-fry and vegetables with my rice. coconut chicken curry with rice is my fave! I love to make pepper steak served over rice, and for dessert rice pudding. My favorite dish to make with Minute Rice is Cabbage Rolls! My stuffed peppers are loaded with rice! I make a Chicken Broccoli Casserole that's great with rice. I love Nasi Goreng with Spicy peanut sauce. A nice, simple dish of rice with herbs. Creamy chicken casserole made with rice. I like making chicken & mushroom fried rice. Chicken Fried Rice is my fave. My favourite dish to make with rice is chicken fried rice. I put rice in my cabbage rolls and stuffed peppers. I LOVE chicken fried rice! I like making fried rice . Veggie stir fry or bacon fried rice. I like making black beans with rice, cilantro, salsa, and cheese. Butter chicken is my favourite dish to make with rice. We love grilling up lots of veggies and then tossing them into the rice! I like my rice straight up but my husband loves rice pudding. I love cabbage rolls and rice pudding. Bailey Dexter Our family loves cabbage roll, we make them all the time. Another is rice pudding the kids love to help in preparing them! My favourite dish is broccoli, cheese and rice casserole. We love butter chicken served with basmati rice! I like chicken stir fry on rice. Porcupine Balls. My kids love them.. hamburger with onion soup mix and minute rice. roll into balls, throw in oven for 20-30mins. can put mushroom soup over top. Chicken fried rice is my favourite dish. Oh boy, lots, Fried rice, stuffed peppers, and my fav! rice pudding!! I love to make biryani. Yumm! We love chicken stir fry!!! Thanks so much for the opportunity!! I love making cabbage rolls, and I love eating them even more. Stuffed peppers with rice and beef. My favourite dish to make with rice is cabbage rolls. I love making Mexican rice.